Highway T-15 over the Red Rock Dam will be closed for construction on the hydroelectric project, beginning September 10th. A detour has been posted for those who need to travel between Pella and Knoxville on Elevator Road (T-17) and Highway G46. Local traffic trying to get to on to T-15 the north side of the project should use G-28/Washington Street from Pella for access. 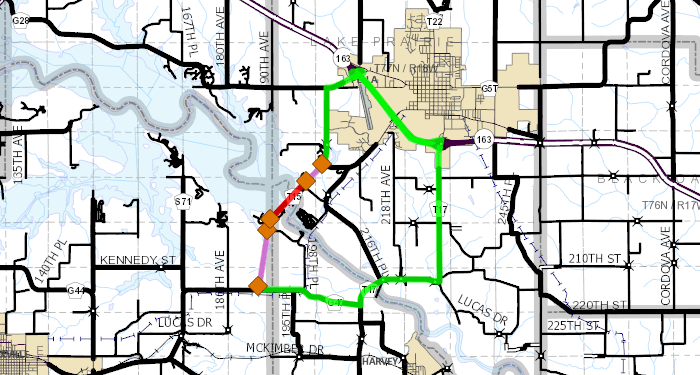 The closure is expected to last two work weeks, until September 21st, according to the Marion County Road Department.